Crete is the southernmost island of Greece, and is about 400 miles north of Egypt. I debated writing a guide to the entire island, but I didn’t think I could possibly do all of Crete justice in one guide. Although it isn’t that big of an island (you can drive from nose to tail in about 4.5 hours), every area of the island definitely has its own energy, and infinite sights and activities to do. Considering I’ve spent most of my time on Crete (1.5 months) in Chania, I’ve decided to focus this guide on the West side of the island. Chania has the most incredible vibe, and is in my opinion the side of the island with the best beaches and best energy. It has totally captured my heart. There is so much to to in the West, it blows my mind that people can spend only one week to see the entire island. Ideally you want to give yourself at least 1-2 weeks in Chania alone! I’ve written many healthy travel guides, but none seemed as important as this guide to Chania. When you google “organic + the town you’re in” a plethora of options will usually come up. This has been the case of course for big cities like Paris, Sydney, Vancouver, and LA, and even for smaller island life places like Maui and Rhodos. In Crete, however, the majority of these organic shops and health stores are completely off the cyber-radar. I have legit stumbled on almost all of these stores by total chance… by divine intervention. This guide feels much more purposeful than the others, in that it can actually be a one-of-a-kind resource to get organic goods while in Crete. If I’ve missed anything, please reach out in the comments and I’ll update it promptly! The old Venician Harbour of Chania at sunset, with the white mountains off in the distance. 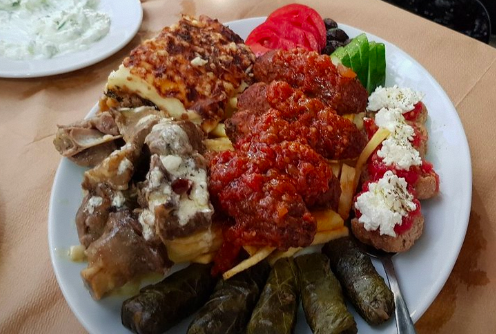 Greece in general has some of the best food on this planet. The “slow food” movement is still very much alive here, with many restaurants priding themselves on slow-cooked food, eaten slowly. It isn’t unusual for locals to sit an eat for a couple of hours. Restaurants here will also serve you desert and raki (the local Cretan spirit) on the house, after your meal. There is a real sense of family/ community that is still alive in Greece. Honour the Greek spirit (and yourself) by never rushing through a meal in Greece! Leave yourself plenty of time if you’re going out to eat. Also if you’re passing through a small village and there’s only one or two tavernas… odds are it’ll be one of the best meals of your life. 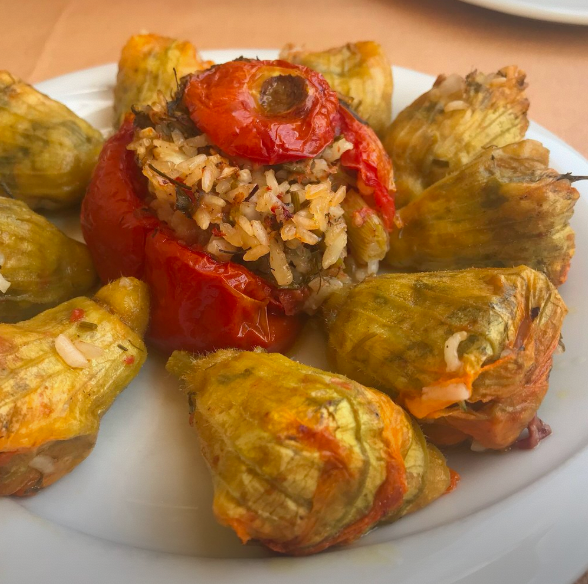 It’s harder to distinguish between the food feeds in bigger towns (like Chania)— although this guide has got your back— but when it comes to stumbling on a family-run restaurant in the middle of nowhere (there are many across the island), go for whatever they recommend (something slow cooked) and you’re definitely in for a treat. Clay pots slow cooking over an open fire, at Dounias. Douinas Slow Food Taverna also called Ntoyniaz (Drakona village, +30 2821 065083, $)- This taverna is a little ride’s away from the heart of Chania (about 40 minutes), but it is absolutely the best restaurant on the island (IMO). This little restaurant is nestled in the white mountains, past the village of Drakonas. It is family run, and they grow all their organic veggies themselves/ raise their own animals. Everything is slow cooked over fire in clay pots, and handmade (including the bread and wine! although the wine is harsh). This is an experience like no other, truly. From the time we arrive to the time we left, about 4 hours had lapsed. You can order off the menu, but I recommend just telling them to serve you as they please; they just continuously brought us dish after dish, all were MIND BLOWING. For two (after about 9 courses + wine) we only charged 34€ (for the both of us!!!)…. Say what?! The drive there is also gorgeous, and leave yourself time for a stroll through the hills after. Make sure you call ahead to reserve, and to make sure they are open (they are not open every day). To Mikio Taverna (24 Skoufon Str., +30 694 586 1641, $$)- authentic Greek in the heart of the old Chania town, with epic share-platters. The portions are huge, so go hungry! 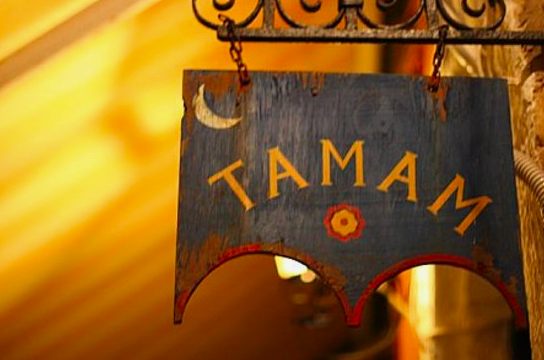 Tamam (Zampeliou 51, #2821 096080, $$)- old school Cretan cooking, in a gorgeous historic building in the back streets of Crete’s old town. This taverna is not to be missed, and really embodies what slow food means. 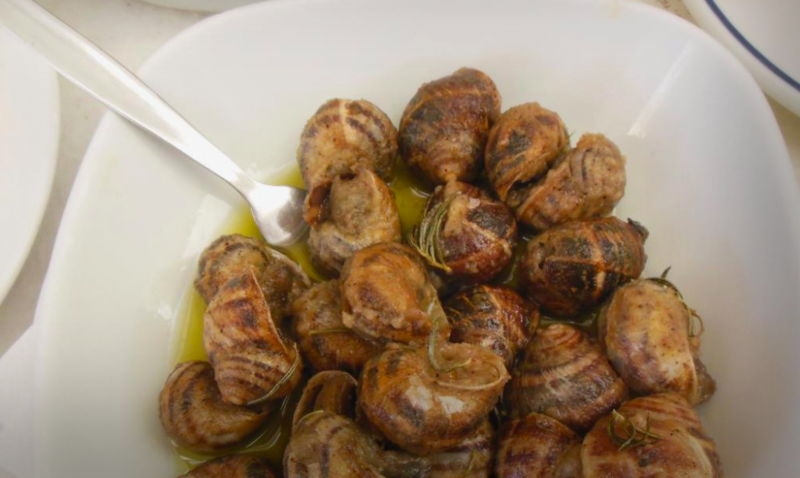 You can’t go wrong with any of their slow-cooked meat dishes, they also have authentic Cretan snails (cooked in olive oil), moussaka, grilled seafood… the list goes on and on. I highly recommend the slow cooked lamb, horta (always! ), and their fries are hand cut and shallow fried in olive oil! Agapinis Tavern (inside the old Chania market)- one of the cheapest eats in Chania town, but always full of locals, and they provide some authentic Greek street food. It’s served fresh canteen style (nothing fancy) but the food is really good, and the prices are great. Agapinis Taven, in the Old Chania Market. To Koutourouki (Parodos Potie 8, +30 2821 501990, $$)- another traditional Greek taverna in the old town, with a cute outdoor patio. To Stachi - Bio Slow Food (Defkaliona, Epimenidou 5, #2821 042589, $$)- Pros: they are organic! Cons: they are vegetarian/ vegan (which is not actually a con in of itself) but they do use soy milk and tofu as a substitute for creamy constituents of their menu (no bueno). 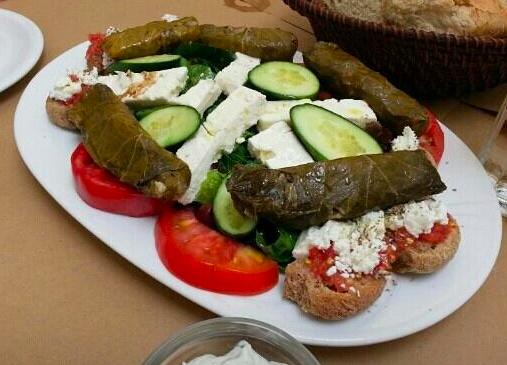 There are however great options like rice stuffed vine leaves, tomatoes, and zucchini flowers. Their okra is a must-try! 2821 027595) Not greek, but this organic juice bar is the place to go if you’re craving a cold pressed juice. They also serve raw desserts sweetened with only fruit. Filoxenia (in the village of Elos): if you’re driving to/ from Elafonissi, you will pass through the little village of Elos. Filoxenia is a gem of Crete, this little restaurant is making some seriously epic Greek food. The two women in the kitchen spoke very little English, I believe they were mother and daughter. The food was so authentic, and the restaurant itself looked like you were sitting in their living room. 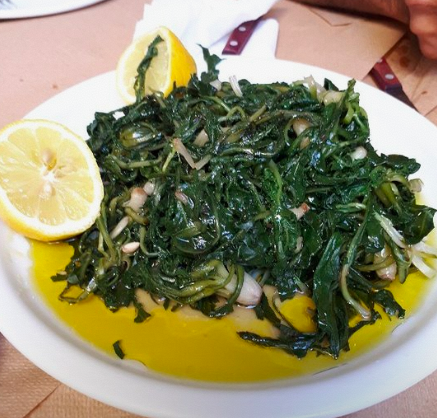 I highly recommend the horta (wild greens), and the slow-cooked goat with fries (fried in olive oil!). Stelios & Katina Traditional Cretan Taverna (Mavros Molos Beach - Agamemnonos 47, +30 2822 023166) is located in Kissamos, on the way to Balos or Elafonisi from Chania. 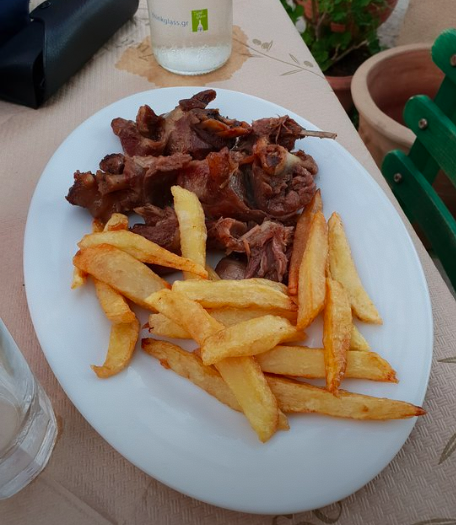 This traditional Greek taverna serves up authentic food, and is the perfect place to stop for dinner on the way home from a long day at Balos! Maracaibo Restaurant (Palaia Ethniki Odos Chanion-Kissamou & Koleni, +30 698 565 5920) is another taverna in Kissamos, and since you’ll definitely be making a few trips through this town to get to and from other areas in the West, add this spot to your must-eats as well. Traditional food with epic slow-cooked feasts with local goat, lamb, and rabbit. Although the food in Crete is to die for, I always opt to stay somewhere with a kitchen, and do most of the cooking myself. Albeit I was in Crete for almost 2 months, I really do love a home cooked meal, especially when all the ingredients are native to the area I’m in. Eating truly local is not hard in Crete. From your meat and fish, to all your fruits, veggies, herbs, and even your olive oil- you can have an entire meal consuming only Cretan goods. Super cool. The most common local and sustainable meats are lamb and goat, you’ll always find plenty of greens year round as well as local wild herbs like thyme, and oregano. Depending on the time of year you may experience fresh figs too! Make sure to try some carob products while you’re in Crete; carob is a pod that is akin to cacao (without the caffeine) and has a slightly more caramel flavour. They use it alot in baking (carob rusks! which are great covered in olive oil). Heads up: all stores are closed on Sundays! If you haven’t stocked up, you can always hit up a restaurant (most are open Sunday). Old Chania Market (Hours: Mon:8am–5pm Tues:8am–9pm Wed:8am–5pm Thurs:8am–9pm Fri:8am–9pm Sat_8am–5pm Sun:Closed) This is a permanent large markets in the centre of Chania. It sells a lot of traditional Cretan goods, as well as trashy souvenirs. It’s worth checking out for sure, but I wouldn’t suggest buying herbs, etc, from this spot. Everything is slightly overpriced and the veggies aren’t organic. This is a great place to get fresh fish, and there is one taverna in the Market (Agapinis Tavern) that is incredibly authentic, and full of locals. Food is cheap, too! The outside of Terra Verde. Terra Verde (Chatzimichali Ntaliani 5, #02821 052201) This is my favourite organic shop in Chania. It’s located in a little back alley in the old town of Chania, and with no signage outside I truly stumbled on this gem by total divine intervention. They sell a limited amount of local fruits, dried nuts, dried fruits, and legumes (all in bulk), a small selection of meats, natural cleaning products, honey, handmade body care (creams, deodorants, etc). It’s not a big shop, and the owner speaks next to no English, but the vibe is authentic and they have the best damn organic dried figs on the island. They also have these fig rolls, made with figs, spices, and nuts- and they are to die for. Oh, and you have to try their carob cookies (shapes in O’s), made locally and sweetened only with thyme honey. Organic Market Lilikakis Michael (Κonstantinou Μitsotaki 80, #2821 069727) This is the “best” organic shop in Chania (the biggest selection). Plenty of fruits and veggies, dried goods, pasta, bread, chocolates, and supplements (local and non-local brands). It’s a little bit further than the others from town (about 40 mins walk) but you can also take the bus (#11 or #18 from the bus stop across from the Old Chania Market). Daskalakis Antonios (Kidonias 142, #2821 036009) This little organic store is about a block from where I was staying in Chania (see below for more info); it has all the essentials, and everything (or almost everything) is local. Honey, olive oil, Cretan breaks and baked goods, fruits and veggies. Sometimes they even have local handmade tomato sauces! Make sure you try the carob rusks, they’re a Greek specialty. They carry ones here made only of carob, salt, baking powder, and water! Apollonia Market Cretan Center of Organic Products (Peridou 9, #2821 086777) The right half of the store is organic, the left half isn’t. Apollonia is a Cretan olive oil brand and this is their shop, but they sell other goods (fruit/ veg, pasta, baked goods, lots of carob products. Not all their produce is organic, but it’s fairly well marked. Gaia (Dimitrakaki 4) Has a similar stock to the other shops, but has a more extensive fresh fruit and veggie section than some of the smaller shops. They also sell bulk dry goods like rice and legumes, chocolates, yogurts, cookies and packaged breads, honey and, olive oil. ΜΠΟΥΡΜΠΑΚΗΣ ΓΕΩΡΓΙΟΣ (Anapafseos 35, +33 2821 036322) Don’t ask me how to pronounce that, all I know is this is one of the best butchers in the area. One staff speaks english, the lamb is local, and they also make incredible handmade sausages in store with no added preservatives or sugars (just meat and spices). Levanda Chania Medical Grade Essential Oils Therapeutic Blends (Episkopou Chrisanthou 61, #2821 008704) Located in Old Chania town, this spot is small but packs a mighty punch (kind of like essential oils do!). They carry pure Cretan essential oils, natural shampoo and conditioners, things like charcoal, carrier oils, diffusers, and plenty of handmade natural products. Melomania Honey Shop Μελομανια (Episkopou Chrisanthou 44, #2821 400795) Not too far from Levanda you’ll find the only honey-only shop in Chania. You can sample honey, learn more about the bees, and find everything from royal jelly, to pollen (fresh pollen when it’s in season! ), beeswax soaps, and other goodies. Psarros Aroma of Nature (Koraka Michail 14, +30 28213 05532)- bulk and packaged greek pulses and rice, Cretan herbs, spices, teas, infusions, salts, handmade patas, organic essential oils, Greek nuts, and miscellaneous health products. The nicest beaches of Chania require varying degrees of transport to access. The very local beaches (walkable) are pretty underwhelming, especially if you’ve seen some of the turquoise magic that lies just beyond the city! Many of the epic turquoise waters/ white or pink sand beaches require either a bus ride or a car rental. This beach alone is one of the main reasons many people come to Crete, and I’m pretty confidently saying this is the most incredible beach I’ve ever seen. I wouldn’t be surprised if it was the most amazing beach on the planet. The ride to balos is about 45-60 minutes from Kissamou; although it’s not very far, the road is gravel and it’s impossible to drive very fast along it. All the car rental companies forbid driving to Balos but to be honest, everyone does it anyways. We made the trip multiple times in a rental and it was no problem. The road is gravel and I wouldn’t want to do it in the pouring rain, but I’ve been on way wayyyy worse roads. The insurance doesn’t cover you on Balos but when you reach the final parking lot you’ll see everyone else is doing the same thing. You can put Balos beach in your GPS, and when you start driving down the gravel road (cliffside): keep going until you reach the very, very end. You will know for sure when you reach the parking lot; if the road continues on— you haven’t reached it yet. I mean, feel free to hike it (you can even hike the whole thing), but most people stop way too soon and end up having to walk 2/ 3/ 4 hours to get to Balos. Don’t be fooled by cars parked along the way- these are just people who stopped too early (or are opting to hike in). When you do get to the parking lot, there’s two routes you can take, one down to Balos (it is directly straight from the parking lot) or towards the Balos or you can hike along the path to the right of the parking lot (beautiful, leads to another small beach- but not to Balos). Accessing Balos from the parking lot take about 20 minutes, hiking down stone steps (see image below). Balos and Gramvousa island are also accessible during the tourist season by boat, leaving from Kissamos. Also! Make sure you stop along the way (about 3/4 of the way towards the final parking lot) there’s a little vendor of local raki, honey, and olive oil. The man is so lovely and has samples of all his products. The local Balos thyme honey is to. die. for. (see image of stall below). Images cannot to Elafonissi justice, because unlike the view of Balos from the top of the parking lot, you cannot get an overview of the whole area without a drone. That being said, this beach is in-sane, and has all the best swimming holes on Crete. Like Balos, this beach is divided by long sand banks that reach out to an island, but the waters are much more swimming-friendly (you don’t have to walk out far to actually swim). The colour of the water is truly surreal, and the white sand is laced with pink. In the off-season the beach is deserted (and so is the local town), but in the summer it would be worth staying down at one of the hotels in the area and really enjoying a few days at this beach. The drive down from Chania is gorgeous and takes you through the mountains. 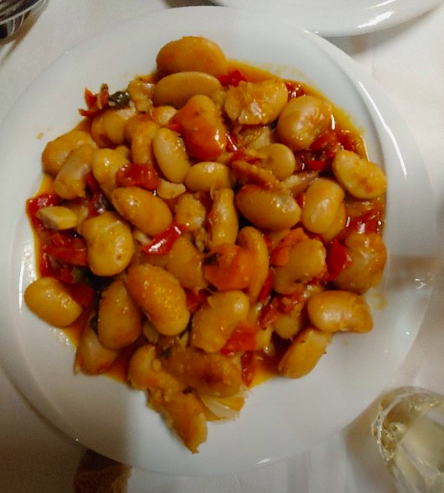 On the way back, you can stop in the little mountain town of Elos and have an incredible meal at Filoxenia. We had slow cooked goat, horta (boiled wild greens), and hand cut fries (fried in olive oil!). Two grandmothers were in the kitchen, and the food was 10/10! 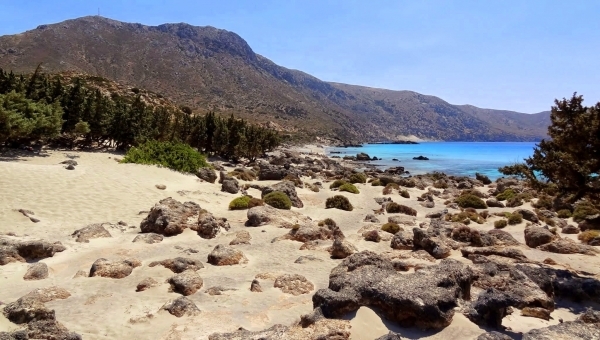 In the same South West area of Crete that Balos, Elafonissi, and Falasarna are found in, is more remote Kedrodasos Beach. This is the beach for nature lovers, lined with cedar trees and juniper bushes— Kedrodasos is also not on the city bus route, so tends to be less populated than the aforementioned beaches. After parking, a 10 minute walk is required to access the water. No umbrellas, sunbeds, tavernas or shops either. Heading over to the North side of Chania now (the piece of land by the airport, known as Akrotiri). When you make your way down the insane zig-zagging cliffside to Seitan Limania, you won’t believe what you see. I had seen the pictures too, but knowing how edited most photos are these days, I just couldn’t believe how bright blue the water was. It almost looked sickly, like the kind of blue you would see coming out of a slushie machine. The beach will pop-up in your GPS. It is not too far from the Chania airport. There is a bus that runs to and from Seitan Limania beach in the summertime (but none in the off season). The hike down to the beach from the parking lot can be done two ways, to the left or right of the beach. And although we climbed down to the left, it’s actually much easier (and safer) to go on the right. Either way, it is not child friendly. Seitan Limania in its full glory. Not too far from Seitan Limania beach (in the Akrotiri area) is another little slice of heaven: Katholiko Beach. This tiny beach is off the beaten path, and requires a little hike to access. From the Gouverneto Monastery hike about 30 minutes until you reach the abandoned Katholiko Monastery. Under the bridge and through the Avlaki gorge, another 20 minutes hike and you’ll reach the water (Katholiko Beach!). There’s no sand here, but damn-- what a magical spot. You’ll lose cellphone reception in this area and there’s no shops in sight, so pack some water and bring a buddy! Nea Chora beach: is just next to the small port, West of the old town. This beach is the closest to town but also kind of the saddest and most depressing. Kladissos beach: A bit further down the coast from Nea Chora, but if you’re making your way in this direction you might as well keep going a little further to Golden beach. Golden beach: the name hypes up this beach a little too much, but out of all the less beautiful beaches of the area, Golden beach has the nicest sand. There is also some pretty good surf here (at least in the springtime). Iguana beach/ Glaros beach: This double sided beach (they are back-to-back with a bit of land connecting the two) is probably the nicest area to swim within walking distance of Chania. It’s about 5 km from town, and there is a gorgeous pine-y park just before arriving to the beach. Menia beach (Kissamou): similar to the aforementioned beaches, Menia is pretty underwhelming. If you’re in Kissamou, it’s worth making the extra trip West to neighboring Balos beach (one of the most magnificent beaches in the world). Aerial image of Samaria: Rental-Center-Crete. The Samaria Gorge hike attracts hiking fanatics from all around the world, because at 16 kms, it is the longest gorge in Europe! This hike is just epic— you’ll get to see so many of Cretes endemic plants and flowers, lush trees, and a few abandoned churches too. There is a taverna around kilometer 14 where you can refuel with fresh orange juice and a snack, and then few kms more and you end up in the crystal clear blue waters of the Libyan Sea, and the town of Agia Roumeli. There are a few tavernas in Agia Roumeli. Note that this hike operates exclusively in the warmer months; although the National Park generally opens May 1 through October 30, this year (2019) it remains closed into the spring due to trail damage from last winter’s rains. Busses depart at 6 and 7:45 in the morning from Chania to Samaria (takes 1 hour to get there); bus costs 14 euros return ticket and the fee entrance of Samaria is 5 euros. To get back you take the ferry from Ag. Roumeli to either Chora Sfakion or Sougia and then the bus from either of these villages to Chania (check timetable online during the season). Kissamos to Balos/ Gramvousa Cape (Kalivani to Balos) (This is an in-and-out hike, but you can most likely count on hitching a ride back into town with someone who drove there, or catch a bus/ ferry back in tourist season). 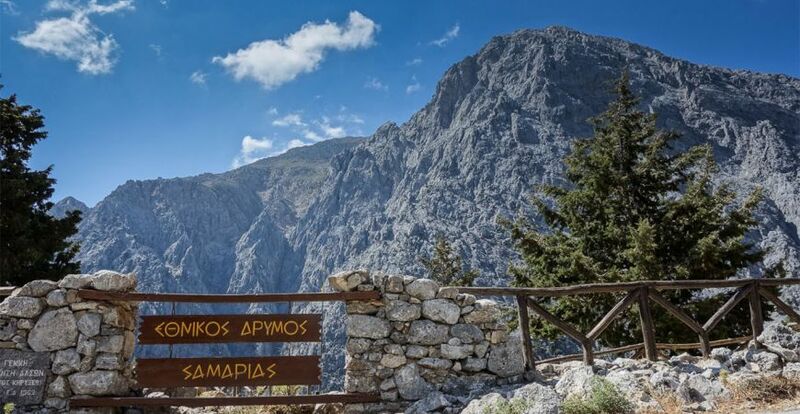 The length will vary depending on where you start from; in the off season you would could take a bus to Kissamos and go from there, that hike is about 15 kms long. Note that most of this hike is done with intermittent cell phone service, without shade, and there are no shops or tavernas for water or food. The three Monasteries hike ending at Katholiko Beach (This is an in-and-out hike); in the Akrotiri region of Northern Chania (near the airport) are a cluster of three monasteries, leading up to Katholiko beach. You can drive and park at Gouverneto Monastery, and then explore the area to Ekklisia Agios Antonios Monastery, Katholiko Monastery, and eventually make your way to the sea to a magical swimming hole (Katholiko Beach). The hike is about 3-4.5 kilometers. Without a car, you could take the bus to the airport and leave from there, this hike will add about 7.5 kms to your journey. Note that most of this hike is done without cell phone service, without shade, and there are no shops or tavernas for water or food. Pilgrimage to Dounias Slow Food Taverna in Drakonas- Eating at Dounias was such an experience, and is a must for anyone who visits Crete. Because I was without a car, I initially planned to walk to this restaurant (I don’t have my full driver’s license!). Although I quickly made a friend to rent a car with, we both agreed that the restaurant was worth making a pilgrimage to without a car! I haven’t done it, but the road through the mountains is absolutely breathtaking and the hike would be a magical one. The walk would be about 20 km (5 hours), with only 700m of elevation. If you were keen you could do it both ways in one day, but my idea was to pitch a tent somewhere in the mountains after the meal, and make the trek back to Chania the following morning. Alternatively you could cross your fingers and hope to hitch a ride back to town with someone else after walking there. Note that they are not open every day, so make sure to call first! Agia Irene Gorge, is an alternative to the often crowded Samaria gorge hike. Saint Irene is only about 7.5 kms, and with a descent of 500 m instead of 1230 m… it’s also easier on the knees. This hike is also open year round, so if you’re on Crete when Samaria is closed or want a less crowded gorge, Irene is your gal. Note: a small river might flood and make it uncrossable, in heavy rains. From the entrance of the gorge to the Oasis Taverna at the end, you’re looking at about 2.5 hours hike along a path (mostly shaded by pine trees). From the exit of the gorge, it’s about 7 km walk to Sougia. The West-Crete website does a great job at explaining your different options getting to-and-from the gorge. Agia Lake, is the ultimate destination for anyone looking to cycle in Crete. The route from Chania to Agia Lake is beautiful, and only about 10 kms (each way). Archaeological Area Kastelos, although the more popular (…and more exciting to visit) archaeological sites are found more in the East (Knossos, etc), you can reach Kastelos by hiking just over 9 km south of Chania. It is a walled citadel (acropolis); the hill (250 m of elevation) is considered to have been inhabited since the Minoan Era, to the medieval Times. Hike from Chania to Dounias. Image: Google maps. To be perfectly H, I am moving away from gyms and conventional fitness facilities… I much prefer spending time outside, hiking and exploring. But if you need your gym/ yoga class fix— there are plenty of options in Chania. Click any of the links below to be taken to the respected websites! Olympiko Health & Fitness Club. This section is actually key to your experience in Crete, because although the island is “small”, it is also weirdly vast, and it is definitely not easy to get around unless you know how. Your Google transport apps will not work here to tell you when buses are arriving or what the routes are. But this section should give you the down low. The bus system in Crete are run by a few different companies. KTEL is the main bus provider, and you can use their website to see the schedule for major (coach type) bus trips in between bit cities, as well as popular attractions. The buses do not, however, run year round to all destinations. You will be able to catch a bus between big towns (Chania to Rethymno to Heraklion to Agios Nikolaos) multiple times a day, all year. After tourist season begins, the buses begin making trips to beaches like Elafonissi and run more frequently between cities. The tourist season begins after Greek Easter (end of April). During the off season you really just have to do your research and get creative using the local buses too. Some large buses will make trips only once a day, others once a week. For example the bus runs from Heraklion down south to Matala about 1-2 times a day in the off season, but every hour on the hour in the high season. There are two main bus departure hubs, for longer trips (cross-island, large beaches, and airport) the station is linked there in the google map. The smaller inner-city Chania bus is located across the Old Chania Market and about 2 blocks East. Visiting Crete during the off season (especially in the Spring!) is quite magical because the whole island is in bloom, there are almost no tourists around (entire beaches to yourself! ), but it’s not super easy getting around as a solo-traveller unless you have a vehicle. The local buses (the company is called Astiko KTEL) are run out of one main central hub that is near the Old Chania Market (with your back facing the market, the bus stop is across the street, about one block to the East). There are staff there that can help you with routes and times; local bus tickets are about 1.20€ each (2€ if you’re buying them directly on the bus). You can also get some infor online on their website. As a human with no-license (don’t judge me), I’ll say this: either get a car, or make some friends with a car. If you’re travelling in the high season (May-August), you can get around without a car, but getting to-and-from places on a bus takes 3 times as long and you’re relying on their schedule and speed. So, if at all possible I highly recommend relying on a car or befriending humans that can rent one with you. (You will need a full license to rent a car or a scooter in Crete). Car’s are incredibly accessible in Crete, there are so many car rental companies in town. If you’re travelling in the off-season you can rent a (brand new car) for about 20€ per day, and in the highest season (July-August) you’re looking at about 60€ per day. Either way if you divide up the trip between a car full of people, it’s definitely worth it! We rented from: Vacanza Rent A Car (Address: Chalidon 105 (it’s right at the entrance to the old town of Chania/ phone number: 2821 008595). They were awesome. We went in and were out of there with a brand new car in less than 10 minutes. No bond. It was great. I highly recommend them! Not the worst way to get around Crete if you’re a confident moped/ motorcycle driver. The people drive a bit chaotically and some of the roads to the beaches/ through the mountains aren’t super well paved or safe. I wouldn’t head to Balos on a scooter, the road really is not suitable. You can rent a scooter on Crete with a driver’s license. Depends how strong a rider you are, but many places aren’t accessible via bike unless you’re cool riding up and down mountain ranges. That being said, I love bicycling, and did rent a bicycle for a few days to just explore the flatter parts of Chania. The roads aren’t very bicycle friendly, but you can still get in a pretty nice ride. Rental prices vary, but you can haggle a deal if you rent for multiple days. In the lower season, I got a bicycle from Antoni’s Bike Shop for 10€ / day. There are so many places to stay in Chania, but I couldn’t have better things to say about Cocoon City Hostel. Whether you opt to stay in one of the shared rooms (2 or 3 bunk beds), or a private room: Cocoon is the business. It’s the nicest hostel I’ve ever stayed at. Sparkling clean (they clean all the rooms, etc, every day- sheets are changed every 3 days); there’s a full kitchen (+ dishwasher), laundry on premise 5€ (wash/ dry). The place is a dream… all rooms have balcony access, the wifi is strong, and the staff is super friendly.